Since I don’t know when, I trade goodies with Ernest. He is a graphic artist, with whom I share a passion for collages. I have not found any of his work on the Internet, but if I find it, I will put a link in the comments later. 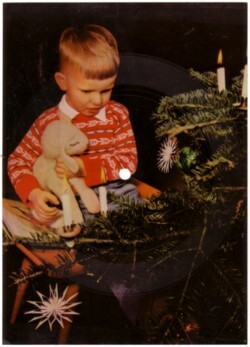 Every now and then Ernest sends me packages with strange records and music related stuff, which he buys for me on flea markets. I don’t won’t to make anybody jealous, so I am not going to list up all the amazing things he gave me over the years, but in the package that I got yesterday were (among many other things) two picture flexi records, a Serge Gainsbourg EP and a book with instructions to create over 200 ringtones. 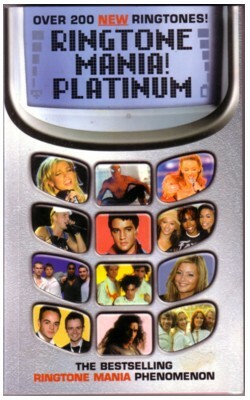 I didn’t even know that you can create your own ringtones on a cell phone, I thought you could only download them. But in the book I read that many cell phones have software to do this. By pressing the right keys in the right order, it should be possible to make any ringtone you like. 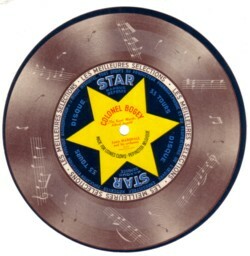 In the book are instructions for 200 hits, themes and TV-tunes. Even some Bollywood songs. I have a cell phone that is so old my son calls it the brick , and if it has any possibility to change its ringtone, it is wasted on me. I don’t like talking over a phone and try to limit it to an absolute minimum. But I just read the book and realised that for many people their cell phone is a sort of external organ. Maybe, if it was easy, I would have given it a try to make my brick play the Matrix tune, but I don’t think it is a good idea that I should try this. Serge Gainsbourg records are not easy to find, apart from the Je t‘aime moi non plus hit, of course. I have only a handful, but they are all great. I have no idea if he is popular outside Europe, but if you are from outside of Europe and have never heard of Serge Gainsbourg, check him out. 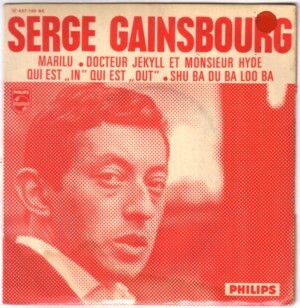 Here is a song from the Serge Gainsbourg EP, Docteur Jekyll et monsieur Hyde.